How you can lose weight this time of year and still have festive dinners. You can lose weight this time of year and still have festive dinners with turkey, dressing, mashed potatoes, gravy, wine and even pecan pie and ice cream. try to diet, discover that you can’t stick to it, and then decide, “This is impossible! I might as well forget about my weight problem and just enjoy everything until after the first.” Giving yourself permission to binge for a month will create a weight gain that will take all of next year to get rid of. Or it will get worse as the year progresses. pick out six to 10 days that you will go to parties, go out to dinner, have Thanksgiving, Christmas dinner, New Year’s Eve and New Year’s Day, and plan on having your favorite indulgences those days. Determine to eat like a health nut all the other days. You will be able to, when you have those holidays to indulge in. Don’t deny yourself gratification — delay it a bit. 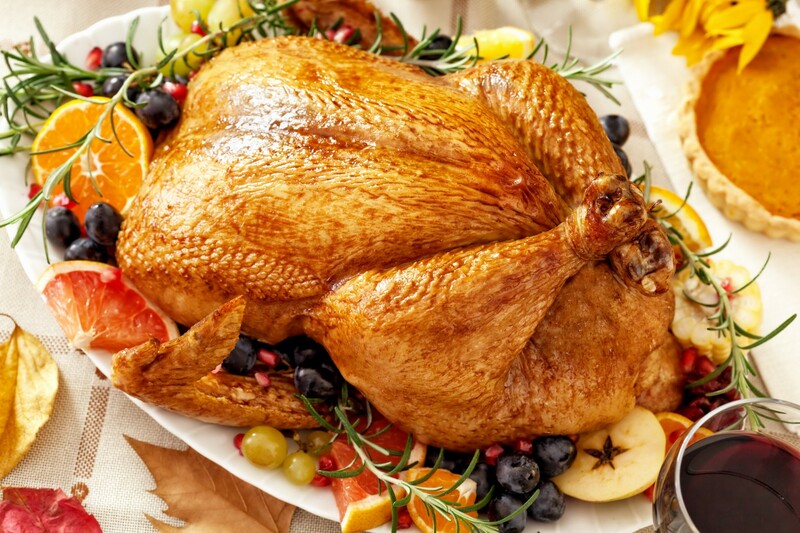 You can’t have Thanksgiving every day without being overweight, but you can enjoy your favorite holiday fare the rest of your life and stay at your ideal weight. You’ll enjoy your favorite dishes even more without the guilt or weight gain, and they will be the best holidays you’ve ever had. plan, every morning, what you’ll have that day and be prepared to fend off all the food ambushes as you run the gauntlet of gluttons every day. Visualize yourself looking and feeling thinner at the holiday gatherings and fending off the food offers all the other days. Plan and practice what you’ll do and say. try to avoid the “bad foods” at parties and dinners. You’ll only feel cheated and want to eat them later, when you’re alone. Plan on the kind of things you’ll want and find out ahead of time what kind of calories are in those things. If you can, find out what will be served ahead of time. Women usually have a “calorie budget” of 1,500–2,200 a day to maintain an ideal weight, and with a little advance planning, you can fit in just about anything on that. save your day’s calories for the parties on your party days, and eat light the rest of the day. If you eat a lot during the day and then eat a lot at the parties, you’ll feel awful as well as add to your weight and size. If you plan ahead and have most of your calories at the event, everything will taste better, you’ll have a great time, and you’ll feel great. And, no guilt! You’ll have had just what you loved, enjoyed it, and accomplished your health goal. beat yourself up and feel guilty if you’re not perfect. Eating too much or giving in to an urge is not a capital crime or a mortal sin. It’s just a mark of humanity. You can get better at self-control as time goes by if you give yourself a break and keep learning more. Be forgiving of your mistakes and learn from them rather than being harshly critical of them. decide that you care about your health, no matter what, even if your behavior isn’t always the best all the time. Never say, “I don’t care,” even when you slip up. There is a part of you that will believe this if you say it enough. If you make it true, there is no hope. To get well, we need to care. decide to stay home or punish yourself by wearing clothes that are too tight all season. go out and get a couple of nice outfits that are comfortable and have a wonderful, happy holiday season. You can enjoy this season instead of gaining weight and then make 2017 the year you solve your weight problem for good. For more by William Anderson, MA, LMHC, click here. Originally published at www.huffingtonpost.com on November 22, 2012. Forget Politics. Focus on Something You Can Control — Your Weight!